When taking care of elderly family members, you want to ensure that they are always handled with patience, love, and care. Although sometimes it might be stressful, you need to also remember that it can be difficult for them to be dependent on you or other people to care for them. That is why it is critical that you familiarize yourself with the best ways to provide them with the highest-quality possible care. This will help you become a better caregiver, while also avoiding caregiver burnout. The following are 13 tips for providing care for an elderly family member. According to Senior Care Centre it is very important for you to visit your family member frequently. They need to have social interaction on a regular basis with you and be reassured that they are healthy, safe, and doing well overall. While you are visiting, you should check around their house to see if there are any issues that need to be taken care of, including if there are things that need to be repaired or cleaned. Also make sure that you check their plants, mail, laundry, food supply, and any other essentials to make sure that your elderly loved one has everything they need. Make sure your elderly family member has the appropriate amounts of their medications. It is critical to ensure that all of their prescriptions get filled and refilled when needed. If they take several different medications, then the best thing to do is to purchase a pill box organizer that has compartments that have labels for each day of the week. If they have a new medication prescribed to them, make sure that you ask the pharmacist or doctor about any potential interactions with their current medications and any possible side effects. You might need to hire a caretaker, aide, or helper. It could be a person who assists your family member with their regular daily activities like housekeeping, running errands, or showering. If you don't know the individual personally, then you should either hire someone from a licensed agency or check the person's references. That might need to be an expense that is budgeted for, or it could be a resource that is available for free or a nominal fee depending on what your loved one qualifies for. - Install a ramp for walkers or wheelchairs. - Install grab bars and handrails in the shower and next to the toilet. - Install or test carbon monoxide detectors and smoke detectors. - Check the home's overall lighting to ensure that it is bright enough. - Plug a couple of auto-sensor nightlights in throughout the house so that they can see if they need to get up during the night. - Make sure the bathtub or shower has non-skid strips or mats. Install them in other potential slippery areas in the house as well. - Remove any extra furniture or clutter that might be in the way. - Make sure all wires, cords, and cables are tucked away safely so that potential falls are prevented. Most of the time your elderly family member will not be willing or comfortable to discuss their finances. However, you need to try to have an honest discussion regarding their finances, particularly if they are living on a fixed income where a budget needs to be followed closely. When it comes to your loved one's paperwork, make sure that everything is completed and up-to-date, like their power of attorney or will. It isn't an easy conversation to have, but it is critical. After the task is completed, you will both feel much better. There might come a time when your elderly family member will not be able to drive any longer due to their declining reaction time and cognitive abilities while they are out on the road. It is very important that their driving abilities are assessed and when it does start to become a problem, provide them with other options that might help them like having their groceries delivered or hiring a driver for them. 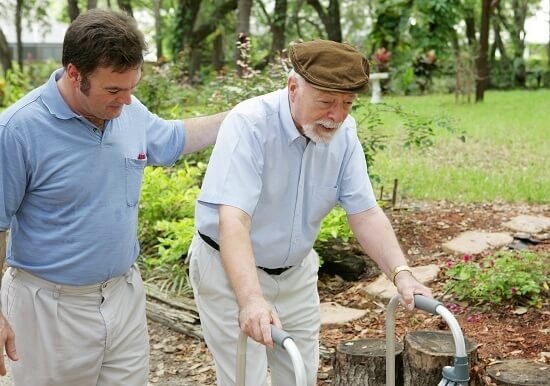 It is essential that your elderly loved one stays involved and active. Exercise is essential for keeping them healthy. Unfortunately, it is fairly common for the elderly to become lonely and isolated or suffer from depression, particularly if their spouse has died. It is critical that they stay involved with friends and family and they might even want to make new friends as well. There are numerous resources within your community that offer places to go and things to do that can help your family member stay active and social. Your elderly family member might not be able or want to cook their own meals. To stay healthy, they need to be well fed. You can make meals for them in advance. You also can check with Meals on Wheels to find out if your loved one qualifies for their service. There are numerous other delivery meal plan services that are available that your relative might enjoy. There are even some meal plans that offer diabetic meals and other special requests. If you are technically proficient, install a motion sensor or camera to watch them or one that will alert you in case there is a problem. Another option is a medical alert system but you will need to convince them that they need to always wear their alert button. The best thing to do is to attempt to get a schedule arranged between your family members and you to assist your elderly loved one with things like cleaning, cooking, shopping, errands, doctor appointments, and bathing. If necessary, you might need to hire a person to assist with some of these tasks and that will need to be incorporated into your schedule as well. A schedule can help your loved one be aware of what is on their agenda in addition to keeping your life organized and structured. There are numerous resources that are offered to the elderly. Those resources might be community-based or offered by the government. Do your research to find out what your elderly family member qualifies for and how they might benefit from them. You might be surprised at all that is available to them. In order to be able to care for someone else, you need to stay healthy yourself. People who care for the elderly often suffer from depression, anxiety, and stress. If possible, share responsibilities between you and other family members. It is very important to remember to take breaks and also enjoy your life every once in a while. Caregiver burnout is a real phenomenon and if you are feeling overly stressed then the elderly family member who you are providing care for will feel that stress, as well.